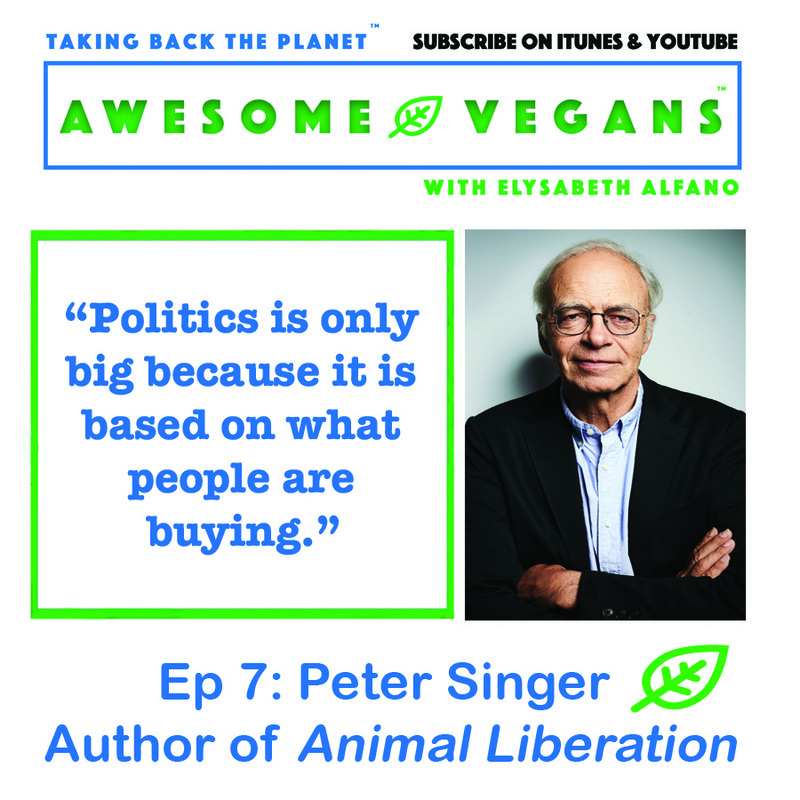 Famed philosopher and the Father of the Animal Liberation movement, Peter Singer joins host Elysabeth Alfano on the Awesome Vegans Podcast. 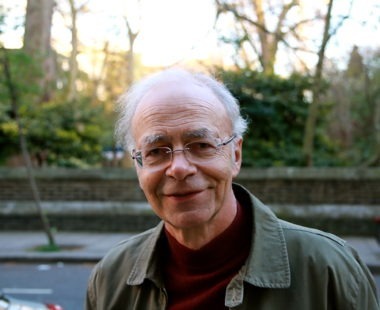 It was difficult to get an interview with Peter Singer. The philosopher and professor is oft attribued as the father of animal liberation movement. His many books, but notably, Animal Liberation, and also, In Defense of Animals, champion with logic and Darwin the fact that animals suffer. Peter then argues that since animals suffer, it is unethical to treat them as objects or possessions. To ignore, or worse, to instill suffering on sentient beings is unethical and immoral. Amen. I love him. Understandably, Peter is busy. He is in high-demand. He teaches at both the University of Melbourne at the Centre for Applied Philosophy and Public Ethics as and Princeton as a Professor of Bioethics. 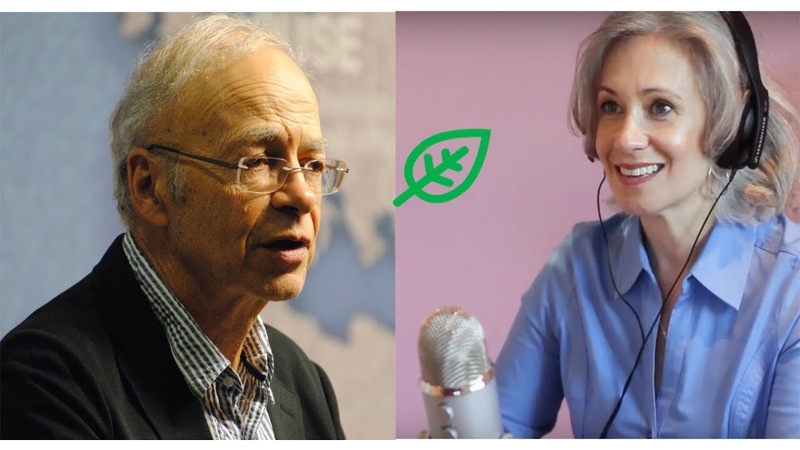 So when Peter Singer accepted my interview to talk with me from his home in Australia via the Blue Jeans app, I was over the moon! In this episode of Awesome Vegans, Peter and I discuss the basis for speciesism as noted in his famed book Animal Liberation, his pet X-lab rats and how to take on big government. Listen in to the legend himself. We also his tips on defending the rationale for veganism and his favorite snacks! I do hope that you listen to the entire interview. But if you only have time for one snippet, enjoy Peter’s explanation of Speciesism. While Peter didn’t coin the phrase, he did popularize the term, making it a fundamental building block of one’s defense against the abuse of animals. Peter and I also discuss the easiest way to induce change. It doesn’t require any work at all. Zero protests. Zero activism. If you want change, buy products that are good for animals, the planet and you! Ultimately, we vote with our wallets. We change the world with our wallets. Enjoy the pod and video interview below, and SUBSCRIBE to Awesome Vegans with Elysabeth Alfano on iTunes and on my Youtube Channel, Elysabeth Alfano. And be sure to subscribe to my monthly newsletter to never miss a Facebook Live cooking demos and recipes.